After sadly having to depart Provence, we faced a 600-km drive to our next destination of St. Emilion. While hubby was driving, I had the task of selecting somewhere along the way for lunch. Though Toulouse was my first pick, the city seemed liked it would be too big to get in and out of quickly. 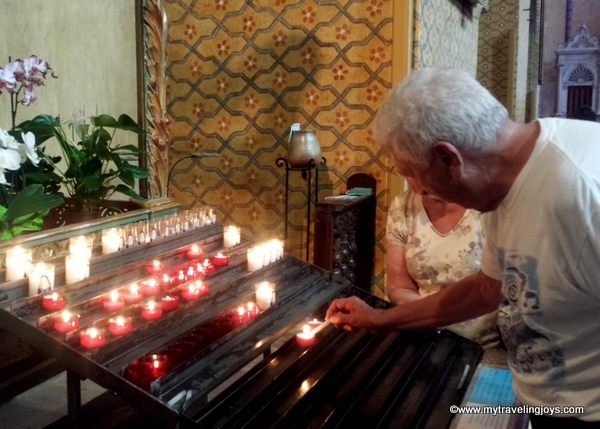 A quick look online showed that the small town of Moissac, looked promising, and was located just a little ways off E72 highway. 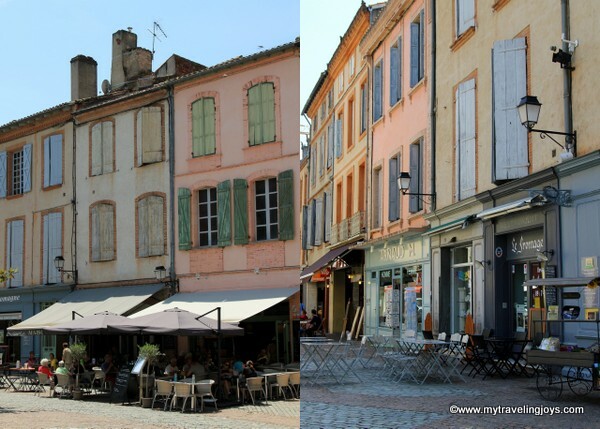 We had no expectations for Moissac, but were pleasantly surprised to walk down one of the main cobblestone streets that led straight to a historic abbey and church. 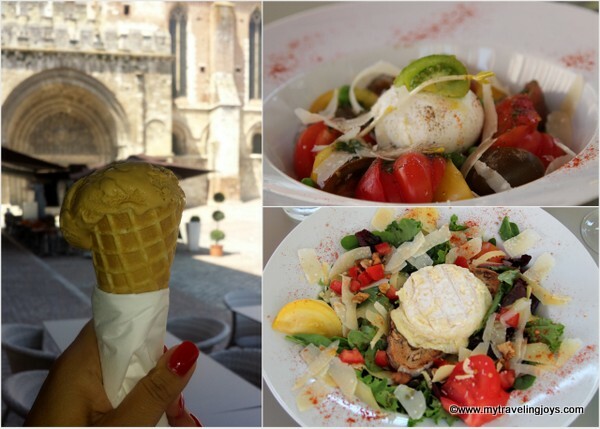 Yes, I think lunch in an outdoor café right in front of a church with nearly 1,000 years of history will do! We enjoyed a casual, but delicious lunch at Le Louis Vins. Warning: restaurants are only open from 12-2 for lunch, but all stores are closed during that time. When the restaurants close at 2 p.m., the local stores re-open. Oh France! After lunch, we visited Moissac’s Saint-Pierre Abbey, a UNESCO World Heritage Site since 1998, and one that is located along the Routes of Santiago de Compostela in France. Moissac’s abbey, originally built in the 7th century, functioned as a Benedictine, Cluniac and Augustinian monastery in south-western France. In 1793, the French Revolution put an end to the monastic life here. 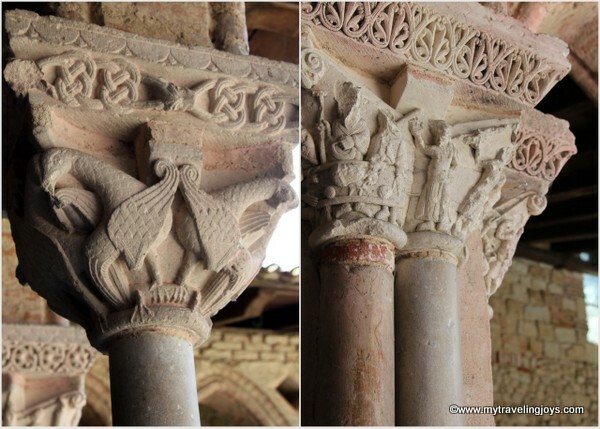 A number of the medieval buildings survive including the abbey church, which has famous and important Romanesque sculpture at the entrance. At the church's entrance, look up. The carved Tympanum is based on the Book of Revelations and includes a tetramorph, which usually depicts the Four Evangelists (Matthew, Mark, Luke and John) in animal form. Our grandparents, who are very Catholic, enjoyed walking around the church and then we paid for the separate entrance into the abbey and its cloisters. With its intricately carved 76 pillars, depicting Biblical scenes and the lives of saints, I found the cloisters breathtaking! Yes, there are very few signs in English, but that didn’t matter to us. I didn’t need to know what every carving represented. I simply appreciated the beauty of each column. Unfortunately, some of the abbey grounds were destroyed, including the refectory, when the railway was laid through the town in the 19th century. Still, it looks like the main historical parts were saved, including the church and its spectacular cloisters. 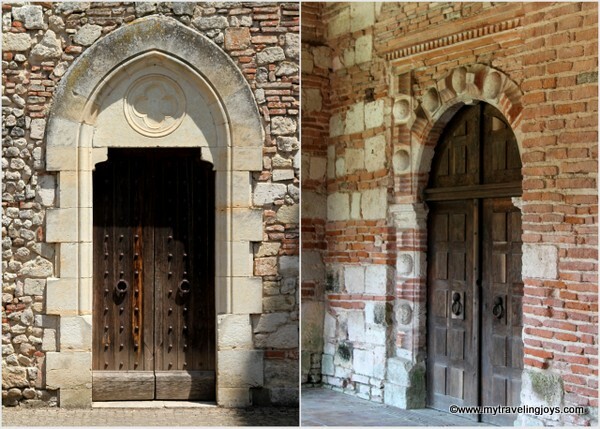 If you find yourself driving through south-western France, definitely take the time to stop at Moissac. You only need an hour or two to enjoy this charming little town. While vacationing, have you ever stopped somewhere that totally surprised you? Click here to download a FREE guided audio tour in English for the Abbey. At last you are somewhere where I can say "I've been there!"